An analyst following Apple Inc. has weighed in on the tech company’s likely plans to bring an electric and/or autonomous car to market, projecting that it will arrive within the next five years and be priced around $75,000 to rival the Tesla Model S.
Now, of course, all of this is pure speculation based on insider tradings and rumors, but it’s also literally this guy’s job to back what he’s heard with reason and criticism for investors. Munster sets the likelihood of the Apple Car making it to market at an “optimistic” 50 to 60 percent, but says that if Apple has started work on “Project Titan” and are in the process of developing a car, he sees no reason why they would abandon it. He also said his projected likelihood would be higher, but he was wrong about the success of Apple TV despite the confidence of internal reports he received. 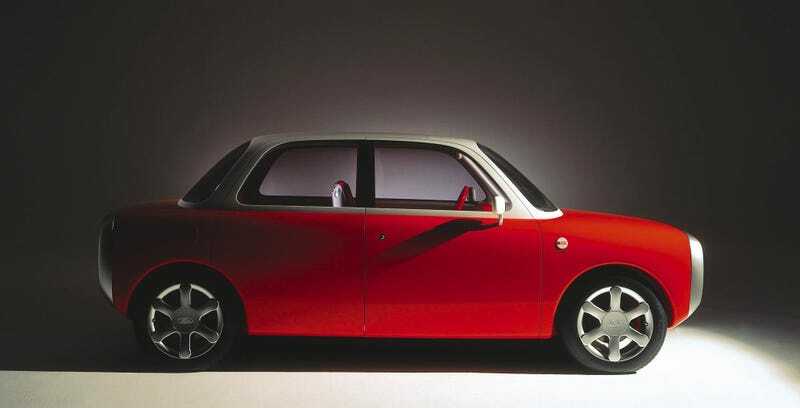 It was also projected that Apple would stick to it’s current product lines and in similar fashion design the car itself, but outsource a majority of the manufacturing. We’ve heard about plenty of meetings between Apple CEO Tim Cook and existing automakers, so perhaps there’s a deal in the works we don’t yet know about. Again, take all of this will an Apple-car sized grain of salt, but Munster also points out that if a car is in the works, we’ll be hearing about a lot of leaks and rumors very soon. If it’s anything like the 1957 Fiat Multipla Apple recently bought, we’re in good shape.